In 1900, an 18-year-old Spaniard named Pablo Picasso made his first trip to Paris. It was in this glittering capital of the international art world that, after suffering years of poverty and neglect, he emerged as the leader of a bohemian band of painters, sculptors, and poets. Fueled by opium and alcohol, inspired by raucous late-night conversations at the Lapin Agile cabaret, Picasso and his friends resolved to shake up the world. 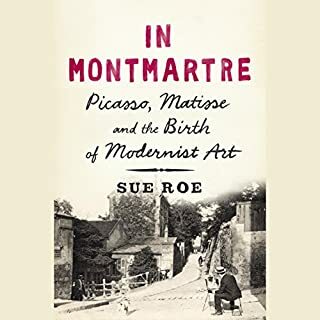 In the mid-19th century, a young man named Claude Monet decided that he would rather endure a difficult life painting landscapes than take over his fathers nautical supplies business in a French seaside town. Against his fathers will, and with nothing but a dream and an insatiable urge to create a new style of art that repudiated the Classical Realism of the time, he set off for Paris. The deep and enduring friendship between Vincent and Theo Van Gogh defined both brothers' lives. As a confidant, champion, sympathizer, and friend, Theo financially and emotionally supported his older brother as the artistic but troubled Vincent struggled to find his path in life as both a painter and a man. Throughout that struggle, the brothers shared everything - swapping stories of lovers and friends, successes and disappointments, dreams and ambitions. I could hardly hit the pause button. 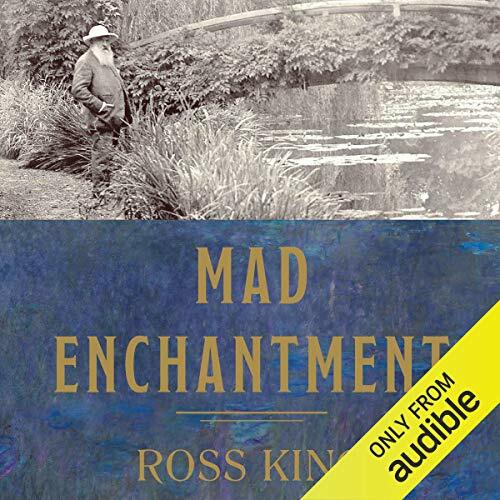 The extraordinarily dramatic history behind the creation of these paintings is little-known; Ross King's new audiobook tells that story for the first time and, in the process, presents a compelling and original portrait of one of our most beloved artists. King tells the full history of the special circumstances in which Monet created the Water Lilies. As World War I exploded within hearing distance of his house at Giverny, he was facing his own personal crucible. In 1911, aged 71, his adored wife, Alice, died, plunging him into deep mourning. A year later he began going blind. Then his eldest son, Jean, fell ill and died of syphilis, and his other son was sent to the front to fight for France. Within months a violent storm destroyed much of the garden that had been his inspiration for some 20 years. 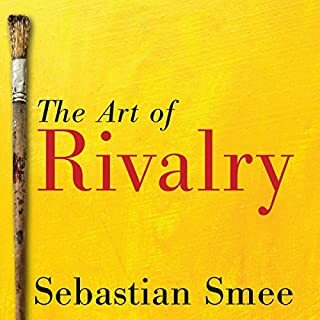 At the same time, his reputation was under attack, as a new generation of artists, led by Pablo Picasso and Henri Matisse, were dazzling the art world and expressing disgust with Impressionism. Against all this, fighting his own self-doubt, depression, and age, Monet found the wherewithal to construct a massive new studio, 70 feet long and 50 feet high, to accommodate the gigantic canvases that would, he hoped, revive him. 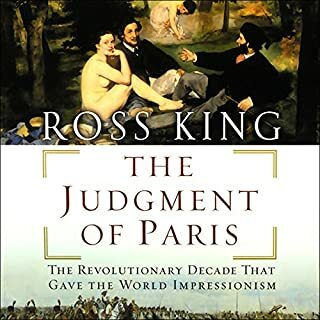 Using letters, memoirs, and other sources not employed by other biographers, and focusing on this remarkable period in the artist's life, Ross King reveals a more complex, more human, more intimate Claude Monet than has ever been portrayed and firmly places his water lily project among the greatest achievements in the history of art. They must re record this if it to remain an audiobook. The book has a french word or location in every sentence and this narrator destroys the french language. At best he doesn't know any pronunciation but frankly this ruins the book as he even changes the words by his terrible reading. I am telling everyone who would enjoy this to only read it. Do not get the audio. I hope the author hasn't listened to this or he would cringe. Life with so much political context. I love this author and I think this book is engagingly written. However, I feel like I am going to have to abandon it half-finished because of how frustrated I am with the narrator. He clearly has no idea how to pronounce French words, to the point that I often have no idea who, what or where he is talking about. Would have been better off with someone just pronouncing things phonetically rather than a mangled distortion. It feels like a bizarre oversight. Poor French pronunciations by Richards. Would you try another book from Ross King and/or Joel Richards? I would NEVER listen to another book read by Richards. His French mispronunciations were awful and almost ruined the book for me. You should refund everyone who paid for this book. Disappointment with the reader, Joel Richards. Refund all of us who paid for this book. I am not finished but I am enjoying the book and the detailed history of this period and Monet. I am an art historian and our literature lacks this kind of context often. But the narrators French accent is terrible. So bad that it distracts. He has a nice voice and good story telling skills. But they should have selected someone who could pronounce the many French words with some fluency. I love learning more about Claude Monet, the story is both beautiful and sad. Performance was just OK. A little bit monotone, I found myself drifting off quite easily. However overall, if you are into the time period And the artist you will definitely enjoy this Book. I have listened twice to this book. I ordered the hard copy as well. I have learned so much about Claude Monet, and other artist, France. I am a painter and suggest this book to all who paint and love art in any form. Ok, this book is read for English-speaking people, but occasionally some Frenchman may try to learn some English. Unfortunately he/she may not even recognize the few French words as the pronunciation is often so totally wrong. A 15% slow-down in the reading speed may also have positively accentuated and dramatized the few remarkable passages in the story. On the overall story, I also have grave reservations. It seems that the author has collected a great number of cards with the entire life of Monet in small episodes, has then spent a drunken week-end shuffling them around in the most absurd order and then sat down to write the story in that order. I have never seen any biography with less structure, logic or unity. The story continuously goes back and forth in time, location, and characters. A mess! I must admit that I have abandoned the book after three chapters, as I can find no unity and no pleasure in the entire story. A wonderful and insightful look into Monet, his life and his beautiful art. 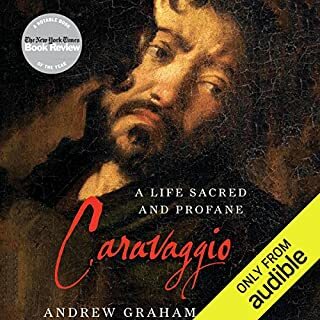 The reading is very pleasant and enjoyable to listen to. The story itself is a great telling of his life. How did the editors / producers possibly choose this narrator ? D r e a d f u l.
The French names, places, words are rendered incomprehensible by the narrator who clearly has no knowledge of the language. A sad butchering of a story that would be otherwise of interest. 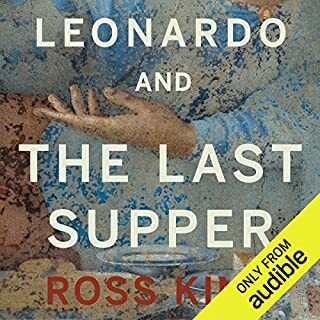 Fascinating story written beautifully and narrated very well. It surely changes the way we see his paintings. 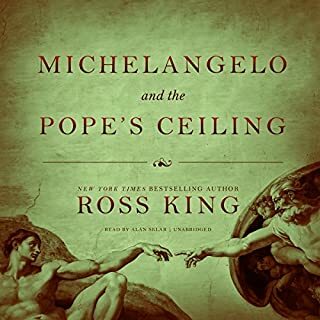 Thank you for producing this remarkable audiobook.